Keystone Compliance has extensive unmanned vehicle testing capabilities and our engineers have experience testing both land and aerial-based vehicles or UAVs. The land vehicle testing has included track-mounted robotics and the aerial vehicle testing has been completed on both propeller and rotor-powered drones. What draws UAV manufacturers to our lab is our knowledge, experience, scope and equipment. Our knowledge and experience allow us to take a proactive approach with customers. Our staff does not consist of button pushers that just say pass or fail. When failures occur, we work with customers to identify the causes and potential solutions. Our A2LA-accredited scopes are included on our webpage here: https://keystonecompliance.com/accreditation/. From a facility and equipment standpoint, we have four EMC chambers that all have exhaust systems that allow us to test devices while they are operating. We also have additional exhaust capabilities to dissipate heat load when necessary. Three of our chambers have oversized doors with the largest being 10 foot by 10 foot. Two of our chambers are full-qualification three-meter chambers that measure 18’ high by 20’ wide by 30’ long. Our other two chambers are military and aerospace chambers that measure 16’ by 16’. In the environmental lab, we have three shakers, two walk-ins and six reach-in temperature and humidity chambers and altitude, thermal shock and salt-fog chambers as well. 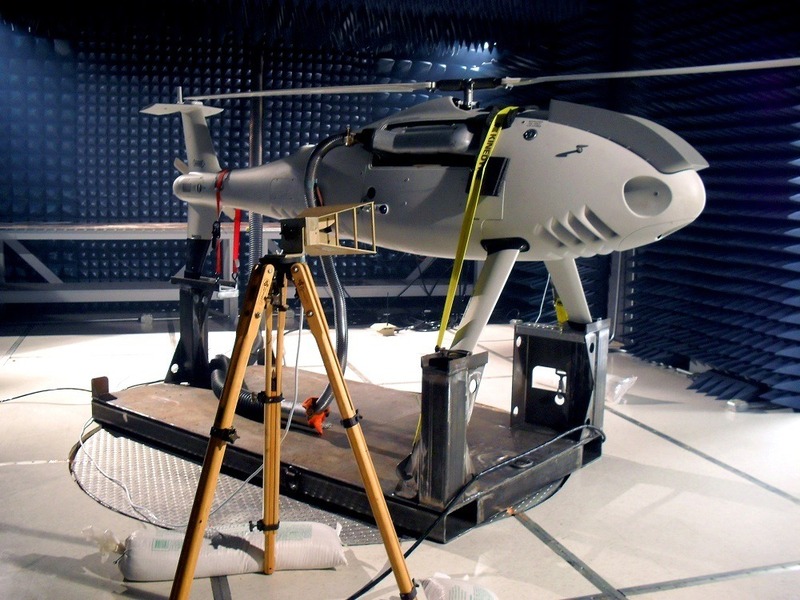 Specific capabilities of the unmanned vehicle / UAV test chamber include radiated emissions measurements in the frequency range of 10 kHz to 40 GHz and radiated immunity/susceptibility capabilities of 10 kHz to 18 GHz up to 200 volts/meter. Keystone Compliance assists unmanned vehicle / UAV manufacturers with regulatory compliance testing. Please contact us for more information on how Keystone Compliance can assist you with identifying and fulfilling your unmanned vehicle / UAV testing needs.